Non-attachment falls under attachment disorders; it describes the lack of attachment between a child and their primary caregiver. Attachment is the broad term used to help identify much different behavior, mood, and social disorders; non-attachment is one of these disorders. Non-attachment is not recognized as an attachment disorder by everyone in the field of psychology; however, it does have real symptoms and therapy can help. Recognizing non-attachment early in life can be difficult because the behaviors of the caregiver cause it. 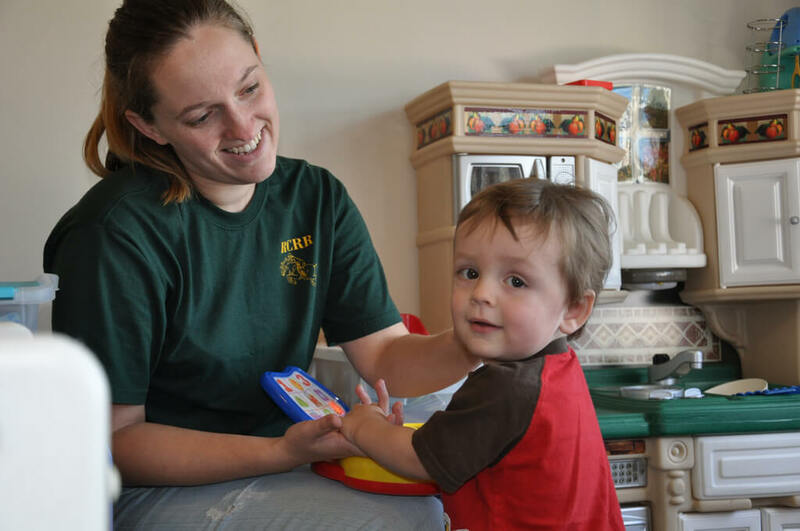 Neglect and abuse by infant/early childhood caregivers result in non-attachment disorder, and if it is not addressed, it will carry over into adulthood. The detachment from the primary caregiver leads to maladaptive behaviors and maladaptive thinking later in life. Maladaptive thoughtsand behaviors are developed as a survival mechanism, and this can be very challenging to overcome. Identifying the symptoms of non-attachment is the first step to getting help for the problem. Identifying non-attachment in children should be done by observing the child with its caregivers. Observing helps the therapist see the interaction/non-interaction and allows them to make a diagnosis and treatment plan. The earlier this issue is addressed, the easier it is to treat. It is unknown how many individuals suffer from this problem, children who develop non-attachment go unnoticed if the parents/caregivers are at fault. Non-attachment can be attributed to separation such as a stay in the hospital, or frequent changes in caregivers. There are symptoms to look for; early detection is the best way to avoid this problem later in life. Children who have non-attachment disorder may exhibit behaviors like those on the autism spectrum. However, autism and non-attachment are very different. A child with autism can still express attachment and have close bonds with others. A child with non-attachment disorder does not form close bonds with others. Adult non-attachment is an inability to give and healthily receive love. 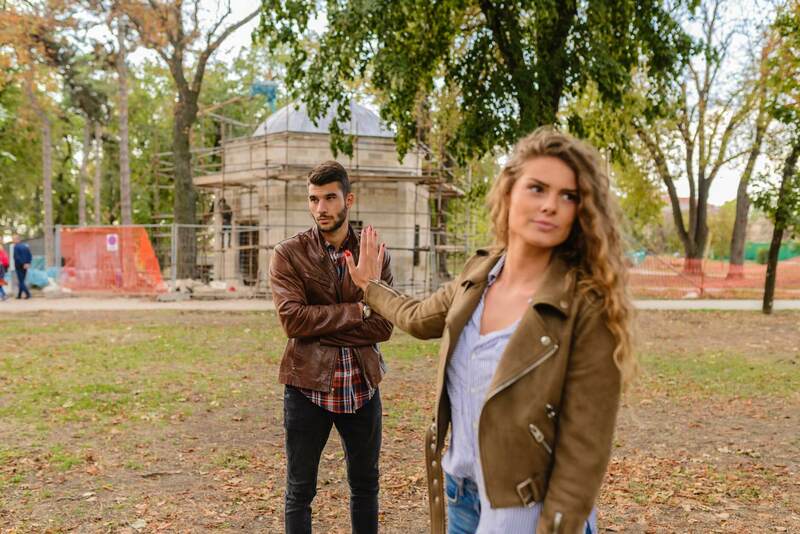 Most adults with this problem fail to create and maintain relationships and exhibit maladaptive behaviors such as lying and aggression to manipulate others in their relationships. The lack of healthy relationships causes depression and isolation that confirms their maladaptive thoughts such as believing no one will ever care about them, or that they are unlovable. The main cause of non-attachment in children is a neglectful, abusive environment. When parents and caregivers do not meet a child's needs, or they are abused mentally, physically or both, they are at risk of developing an attachment disorder. Non-attachment is an inability to form close bonds and attachments to parents and caregivers. All attachment disorders are due to the maladaptive survival behaviors children learn when they are faced with any of the environments and situations listed above. Children with non-attachment disorder learn to meet their needs and survive using maladaptive behaviors; they have learned not to rely on those around them to provide for them and meet their needs. A child with non-attachment is emotionally and mentally distant, and it can be very difficult to undo the maladaptive survival behaviors they have formed. Infants with this issue seem uninterested in those around them, including parents. This indifference is a maladaptive behavior developed because of neglect or abuse. Infants with non-attachment may cry inconsolably, ignore parents when they walk into the room and fail to thrive. Failure to thrive means the infant does not meet the predetermined standards for reaching milestones of development. These infants are slow to crawl, walk, and develop speech. Pain is another cause of non-attachment, pain can make infants/children difficult to connect with. The pain makes it hard to interact and learn social skills. The longer the pain lasts, the higher the chance of developing non-attachment. Losing a parent, parents, caregiver, or caregivers is traumatic for infants and children. A single loss can be devastating to a developing child; they may become fearful and turn inward. Changing caregivers often results in a child that has learned not to bond with others, this maladaptive behavior protects the child from the pain the felt each time a caregiver leaves. Death of a loved one or divorce can trigger abandonment problems, and this problem can lead to non-attachment as an adult. Children who suffer from non-attachment appear to be distant, detached, and isolated. When they are interacting with others, they tend to be manipulative, and they do not accept help from others when it is offered. These children have learned to meet their own needs, and they have a deep mistrust of those around them. Non-attachment in adults is usually due to a maladaptive childhood. All the reasons for childhood non-attachment are the underlying causes of this problem in adults. Without treatment, children grow into adults with non-attachment. PTSD can also cause non-attachment disorders in adults. It is important to recognize potential problems and seek help for non-attachment. Speaking with a therapist or psychologist can help adults understand their symptoms and learn how to deal with them. Therapy available for children with non-attachment depends on the age of the child. Early intervention is important if therapy is going to be successful. Children with non-attachment are difficult to engage and interact with; the right therapist will know which therapy techniques use. Therapy also depends on the type of neglect and abuse the child has suffered, and for how long. Before beginning therapy, the therapist will want to do a complete assessment to diagnose non-attachment. During this assessment the child will be evaluated by the therapist, the child interaction with the caregivers/parents will be observed, the behavior will be observed in different situations, and parenting ability and style will be evaluated. This is important; this assessment will help the therapist diagnose the disorder. The therapist will also evaluate for other mental disorders, so they can be ruled out before a diagnosis is reached. The child will be evaluated for depression, autism spectrum disorder, and intellectual ability. Once these disorders are dismissed, and attachment disorder is diagnosed, the therapist will work out which therapy techniques to use. Provide a healthy environment for the child, an environment that is caring, responsive, and nurturing. Choose caregivers and do not change them, this will encourage the child to form a bond. Make sure the child's environment is stimulating and interactive to encourage interaction with others. Make sure the environment is safe, secure, and appropriate for raising children. Parents and caregivers should receive counseling on the child's disorder. Parents should seek therapy with a licensed professional therapist/psychologist. There are many pseudoscientific therapies for helping children with non-attachment disorder. These therapies are not helpful, and they can even make matters worse. It is not safe to "hold" children until they comply, force them to interact, or to in any way "break" them of their maladaptive behaviors. It is important for the health and safety of children to seek a qualified, licensed therapist/psychologist or psychiatrist to provide diagnosis and treatment for any attachment disorder. There are many other techniques available for treating attachment disorders. With the proper therapy, non-attachment disorder can be treated. The first step is to find a therapist to trust and let the healing begin.